One thing I think we can all agree on is when it is summer and the temperature is up, the best way to go with clothes is easy to wear casual. Laid back denim, floaty dresses, flip flops and sandals are the perfect uniform for the hot days. One of the best ways to finish off a summer look is with a Bohemian bag. Sometimes called ethnic, hippy, gypsy or boho, what ever you like to call them they are the perfect summer accessories and can add some needed colour to a plain pair of shorts and a simple t-shirt. They look great with most summer outfits and can take you from shopping to festivals and they also make great beach bags. I had an amazing one for quite a few years until I lost it, still not sure how! I think this year I really need to pick up another and these are some of my favourites so far. 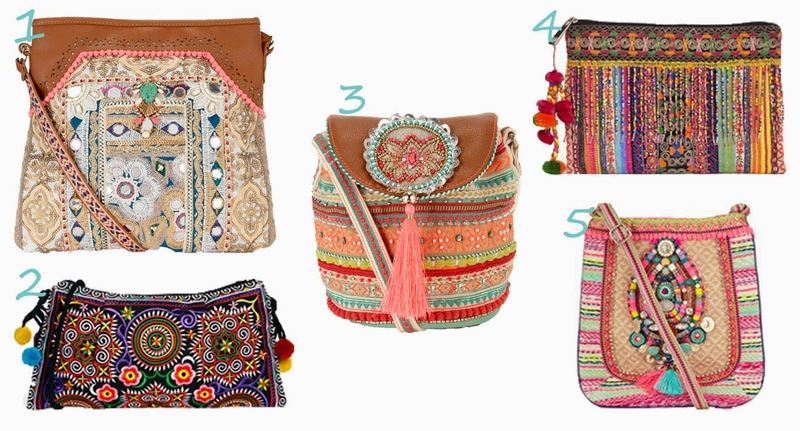 What do you think about Boho Bags? Yes! Casual outfits with bohemian bags are cute!